Manufacturer: Audi. Huntingdon Audi - Part of the Vindis group. NOT SUITABLE FOR THE IPHONE 6 PLUS. Remarks: Can be used from model year 2003/07, A2. Remarks: Can be used from model year 2003/07, TT Coupé. Phone cradle - Apple iPhone 5 and 5s. Only in conjunction with: Pr no. 9ZF or 9ZU. Huntingdon Audi - Part of the Vindis group. (For the use of phone calls only (does not play music). number 9ZF). A3 2004-13 MODEL YEARS (8P). A6 C6 2005-11 MODEL YEARS (4F). A6 C7 2011-18 MODEL YEARS (4G). A4 B7 2005-08 MODEL YEARS (8E). A4 B8 2008-15 MODEL YEARS (8K). Remarks: Usable in combination with Audi phone box (PR no. 9ZE). Only in conjunction with: Audi Phone Box (9ZE). Manufacturer: Audi. Colour: Black. Genuine Parts & Accessories with Genuine savings! Parts Depot Price. Apple dock connector. Huntingdon Audi - Part of the Vindis group. NOT SUITABLE FOR DEVICES WITH THE iPhone 4 CONNECTION. 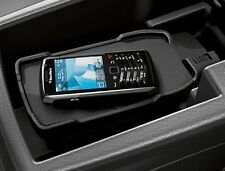 The phone holder plugs into the Bluetooth phone preparation in the armrest for A1, A3, A4, A5, A6, A7, A8, Q3, Q5 and Q7. Universal Phone Cradle. Huntingdon Audi - Part of the Vindis group. Good reception through the car’s aerial. Remarks: A8 from CW 37/2004 >. S8 (D4) 2013 ->A3 (AB3) 2013 ->. S8 (D3-PA) 2008 ->. S8 (D3) 2007 -> 2007. Apple dock connector. Huntingdon Audi - Part of the Vindis group. 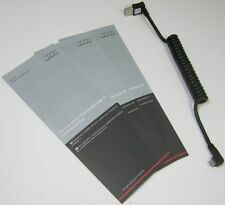 Optional USB charging adaptors are available for The phone holder plugs into the Bluetooth phone preparation in the armrest for A1, A3, A4, A5, A6, A7, A8, Q3, Q5 and Q7. Huntingdon Audi - Part of the Vindis group. Apple dock connector. 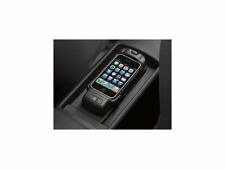 Optional USB charging adaptors are available for The phone holder plugs into the Bluetooth phone preparation in the armrest for A1, A3, A4, A5, A6, A7, A8, Q3, Q5 and Q7. The New and Used Audi Parts Specialist for all Audi models worldwide. Audi Part Number: 4E0 862 401 B. Donor Car: 2007 Audi A8 D3 3000cc Quattro. It may fit others. The New and Used Audi Parts Specialist for all Audi models worldwide. Audi Part Number: 8T0 051 435 F. Donor Car: 2008 Audi A4 B8 Saloon 2000cc. It may fit others. The New and Used Audi Parts Specialist for all Audi models worldwide. 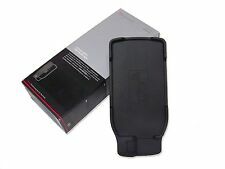 Audi Part Number: 4E0 862 401 A. Donor Car: 2005 Audi A8 D3 3000cc Quattro. It may fit others. The New and Used Audi Parts Specialist for all Audi models worldwide. Audi Part Number: 4F0 862 401 A. Donor Car: 2003 Audi A8 D3 4200cc Quattro. It may fit others. Donor Car: 2003 Audi A8 D3 4200cc Quattro. The New and Used Audi Parts Specialist for all Audi models worldwide. Audi Part Number: 4E0 035 721 A. It may fit others. Donor Car Colour: Bodywork is Silver LY7W. PART NUMBER - 8T0051435F. ITEM CONDITION. The New and Used Audi Parts Specialist for all Audi models worldwide. Audi Part Number: 8K0 051 435 B. It may fit others. Donor Car Colour: Bodywork is N/A. Interior trim is N/A. (Application: FOR AUDI A6/A7/A8 MODELS 2011-17 MODEL YEARS WITH FACTORY BLUETOOTH PREPARATION. UF7 or UE7). Manufacturer: Audi. Genuine Parts & Accessories with Genuine savings! Information and breakdown call buttons: No. Donor Car: 2004 Audi A8 D3 4000cc Quattro. The New and Used Audi Parts Specialist for all Audi models worldwide. Audi Part Number: 4E0 035 721 B. It may fit others. The New and Used Audi Parts Specialist for all Audi models worldwide. Suitable for earlier iPhones with the larger connector. Audi Part Number: 8V0 051 435 B. It may fit others. Donor Car Colour: Bodywork is N/A.